This is 2 sachets joined together. Each sachet will flavour 2 x 1.125 litres of 40% spirit. Both sachets will flavour 2.25 litres which is 3 x 750ml standard bottles. For a fuller flavour, you could just use 1 sachet for 1 litre. 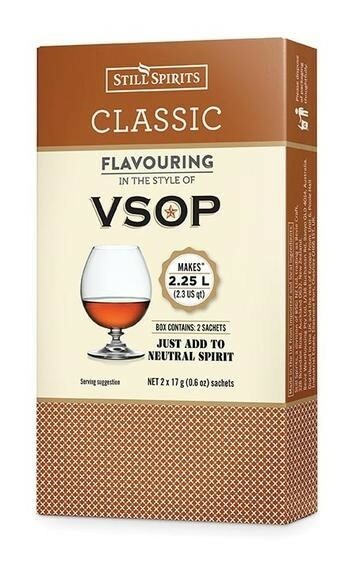 Add this to any neutral spirit such as one you have made or vodka. The equipment required to make a spirit includes basic brewing equipment, which can be found in the 'Starter kits' section of our website. You will also need either a Still to distill your alcohol from a spirit wash (highly recommended), or you will need a high alcohol kit, which can both be found in the 'Spirits' section of our website. There are two choices of stills on our website, the AirStill and the T500.